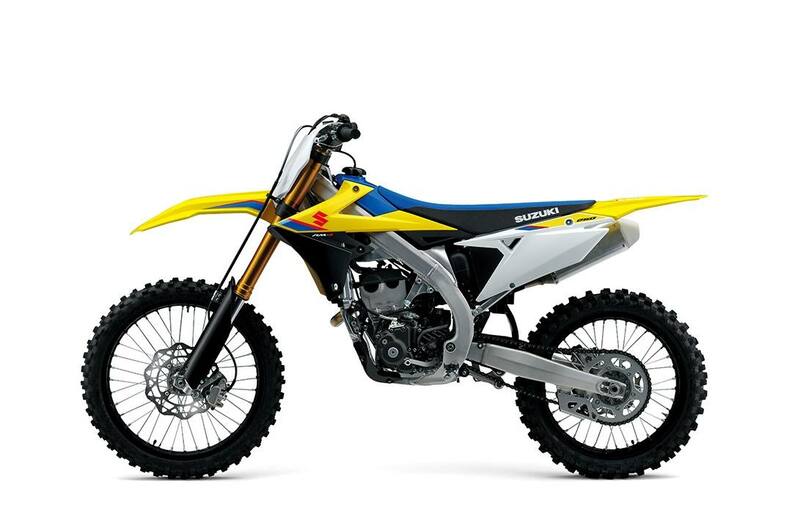 Suzuki has further evolved the fundamental performance elements of ‘RUN', ‘TURN' and ‘STOP' to instill the 2019 RM-Z250 with the winning balance that will make it a highly successful racer in the years to come. 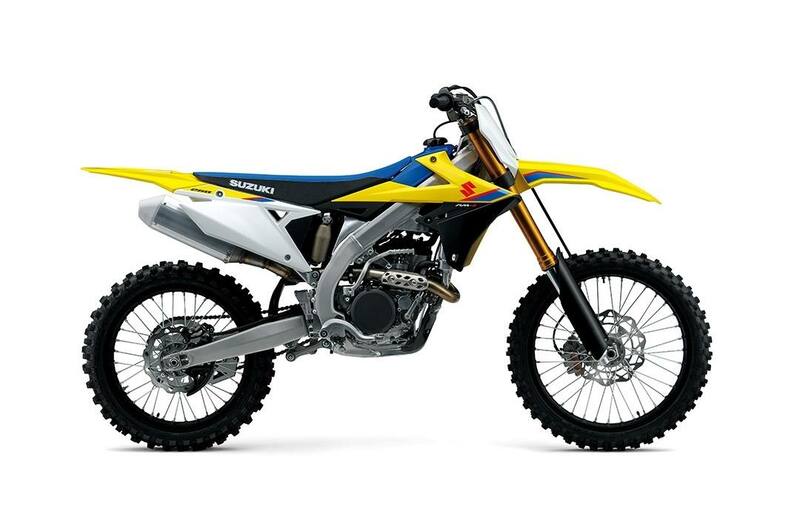 Achieving a yet higher level of balance between the race-proven performance of its engine and chassis, the 2019 RM-Z250 is ready to dominate the competition. Particular attention focused on advancing its ‘TURN' capabilities. 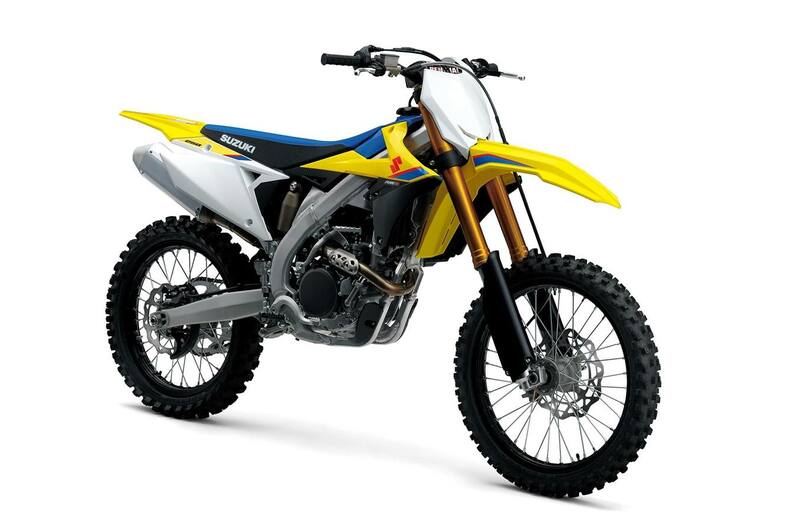 Fitted with a new cylinder head and other improvements for 2019, the fuelinjected, 249cc, liquid-cooled, four-stroke, four-valve, DOHC engine remains proven and reliable. 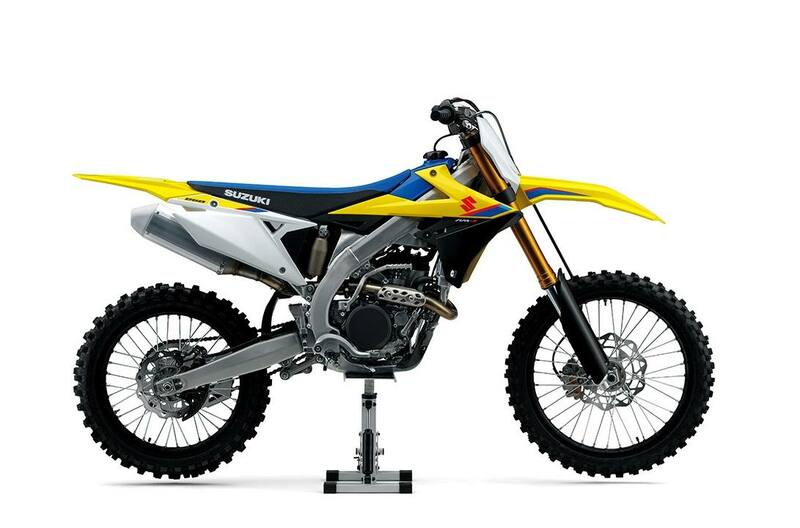 For the first time on a Suzuki MX model, twin fuel injectors are used. The fuel/ air mix created by both injectors improves charging efficiency and increases high rpm power. The new, high-flow exhaust system has a longer head-pipe, tapered midsection, and multi-layer silencer that has better flow through the entire rev range, with an emphasis on low-rpm performance. The new aluminum alloy twin-spar frame combines cast and extruded sections to achieve superior front-and-rear weight distribution, while balancing strength and weight. To improve stopping performance and feel, a new, larger 270mm, wavestyle front brake rotor and a Nissin two-piston brake caliper are used. 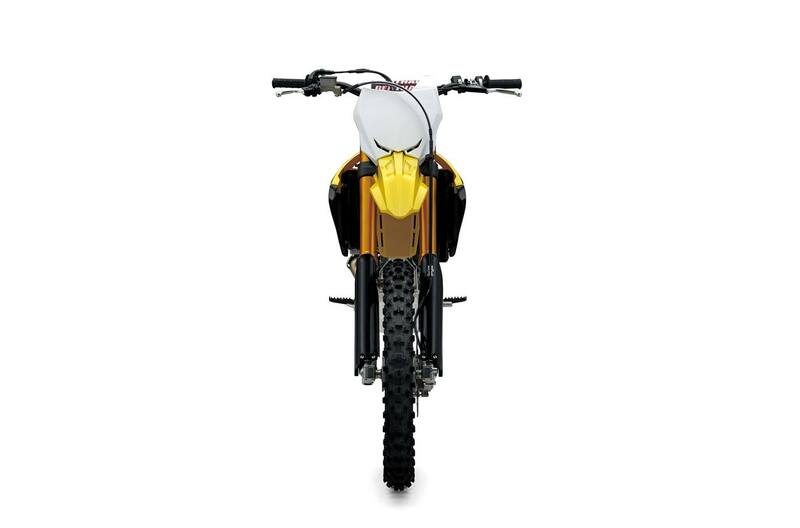 To match the handling potential of the 2019 RM-Z250, the wheels are fitted with race-developed Dunlop Geomax MX33 tires. 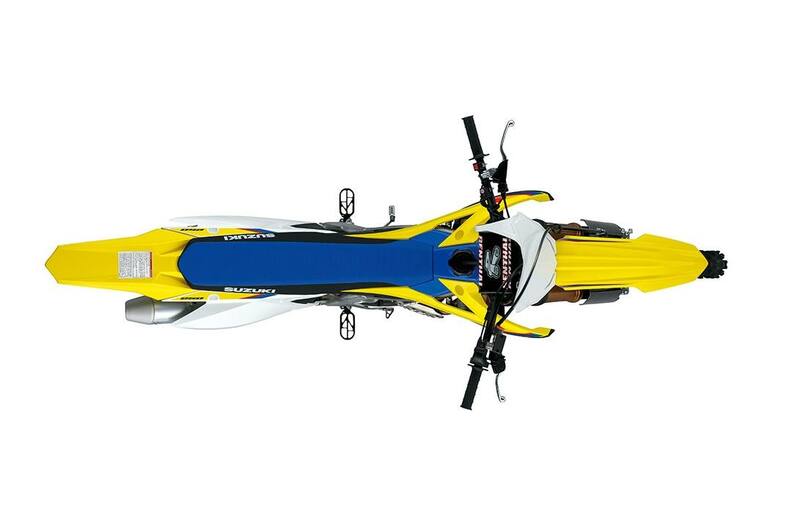 Additionally, the rear tire is nearly a half-pound (160 kg) lighter than the tire used on the prior RM-Z250. In addition to the ergonomic improvements from the new bodywork, the rider’s foot pegs are moved 0.12 inches (3.3 mm) forward and 0.2 inches (5.2 mm) upward, while the handlebar grip position is moved 0.3 inches (7.4 mm) forward and 0.15 inches (3.8 mm) downward, to create a high level of rider-control during competition. The new plastic fuel tank weighs a half-pound less than the prior model’s aluminum tank. Fuel capacity is 1.6 US gallons.